Here at All Security Solutions, we firmly believe that every home and commercial business requires a security system to deter uninvited guests from intruding on your premises. We know that without substantial security that you are more at risk of attracting these unwanted guests. 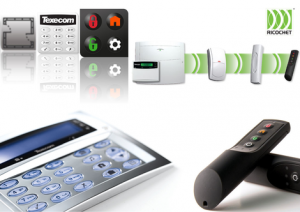 Our security solutions are designed specifically for you and are dedited by the security systems specialists. Our free site survey and quotation provides us with the means to identify where and what systems are required on your property. We’ll provide you with a full written quotation which will cover all aspects of the work to be undertaken, this will range from design to installation, handover to demonstration. We’ll advise the importance of maintenance and offer suggestions as to why this is necessary. We cover the full installation of intruder alarms for domestic dwellings and business premises, including but not limited to; warehouses, commercial units, retail shops, schools, hospitals, sports centres etc. 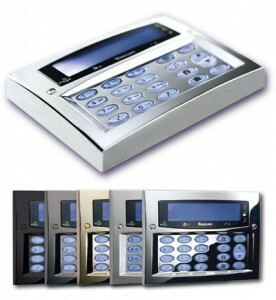 We offer intruder alarms also known as burglar alarms incorporating all the latest detection devices. These include microwave (Dual Tech) and passive infrared (PIR) technologies, glass-break detectors, smoke detectors, vibration detectors, floodlighting, remote alarm signalling and magnetic reed contacts. We also can assist when it comes to a graded system for lowering your home insurance. We cover alarm installations in London, Essex and surrounding counties. Every system which we design and install will be subject to agreeance with yourself, complete satisfaction is what we aim for. Our standards of work is always in correspondence to British Standard BS EN 50131-1:2006+A2:2017) and our equipment is fully compliant with DD:243 PD6662:2017 – so you, like all our other clients, need not worry. Feel free to contact us about this today! Our most popular range is the Texecom Premier Series. It is a range of professional electronic security products, designed to exceed worldwide security requirements. Compatible with Premier Elite Series products, the Premier Series offers a comprehensive range of high quality, high performance security solutions for small, medium and large sized installations. The Galaxy Dimension series of security systems is a fully integrated intrusion and door control security solution for mid to large commercial security installations. It offers your customers a user-friendly system in a cost-effective package that is fully compliant to the PD6662:2017 and EN50131 standards. 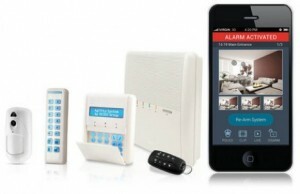 Honeywell Galaxy now has an innovative wireless capability available for intruder functions with Galaxy Dimension. This offers high quality, reliable security solutions with the flexibility to meet the needs of every commercial and industrial application. Introducing the next generation of wireless security, Texecom RICOCHET mesh networking wireless technology delivers more performance than any other wireless security system. The range of a RICOCHET enabled wireless system is greater than previous systems, with multiple devices capable of relaying messages to and from even the most remote locations in a building. We provide wireless alarm installations in Essex and London. Risco now offer the all in one complete solution when it comes to your safety and security. Monitor your own Intruder alarm and CCTV system under one application. wether you are at home in bed or the other side of the world. This great solution can be controlled vi a a smart phone with an app or via your laptop on a piece of specialist software. That is correct, you did read it right, you can now remotely connect into your alarm or CCTV system, retrieve point ID snapshots from your CCTV system when an activation has occurred. This great new technology is guaranteed to give you piece of mind at all times. All Security Solutions offer the latest technology in remote alarm signalling to ensure your premises is monitored via ARC ( Alarm Receiving Centre ) 24/7 365 days of the year. For a monitored Alarm installation please contact one of our staff members today!